I don’t think I could function without a big mug of coffee in the morning, and it’s good to know I’m not on my own. A new study of 2,000 adults, commissioned by the online electricals store, AO.com, has found – despite our reputation as tea drinkers – the average Brit will sip their way through 676 cups of coffee each year. This averages out at around ten instant coffee cups each week, with an additional three hot drinks purchased from either a cafe or coffee shop, pouring an annual £303 into feeding their caffeine cravings. Newcastle, Belfast and Southampton are reportedly home to the most frequent coffee drinkers, followed by Norwich, Glasgow and Cambridge. Among those polled, 23 per cent preferred a latte, while one in five would opt for a cappuccino. 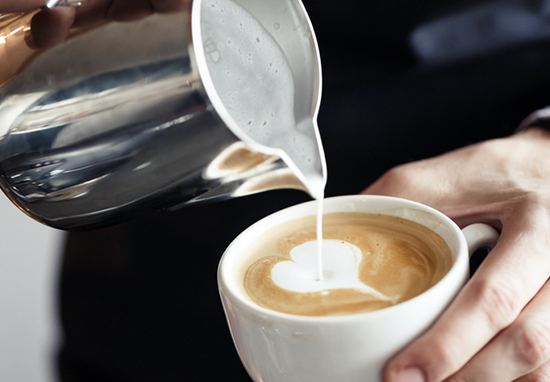 One in seven liked a flat white best, with one in five favouring an Americano. Age apparently plays a notable part in our coffee choices. Brits between the ages of 45 and 54 are more likely to choose a latte, with younger coffee drinkers being more partial to a cappuccino. We all love that first sip of coffee in the morning, which is why making proper coffee at home is more popular than ever. Not only does making coffee on your own machine save you money but technology now means that your home brewed cup can rival your local coffee shops. Plus, you don’t have to queue. Researchers also found 42 per cent of respondents only felt truly awake after their first coffee cup of the day, which most will enjoy at around 9.01am (Amen). Interestingly, one out of six Brits believe coffee makes them ‘funnier and wittier’ while 31 per cent reckon caffeine improves their capacity for hard work. Nearly one out of 10 would identify as a ‘coffee addict’, with over one third mistrusting someone else’s hot drink making techniques. Most worry it might not be to their specific taste. Two thirds of Brits like how coffee tastes, with 43 per cent enjoying coffee flavourings in cake, and one in four finding coffee flavoured ice cream to be yummy. Cheeringly, many coffee drinkers also care about the impact they have on the world around them. Two out of five usually remember to grab their ‘keep cup’ to take with them while out on the go, while 63 per cent confess to worrying about the harmful environmental effects of disposable coffee cups. Thirty-nine per cent of those polled have their very own coffee machine at home. Among those who don’t, one third plan to purchase one at some point in the future. 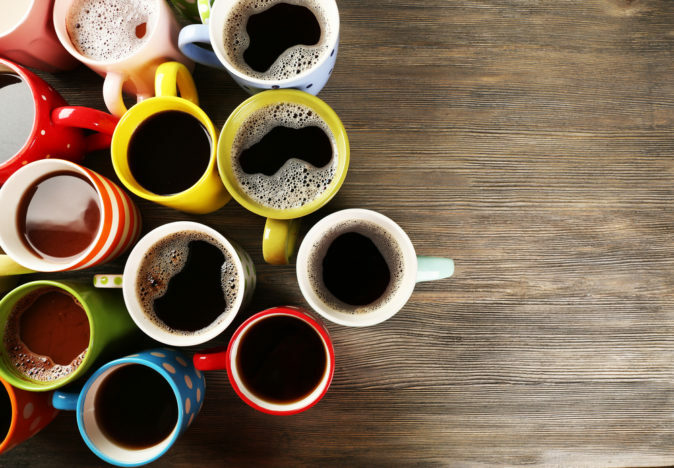 To find out what type of coffee you are, take the quiz here.